Empower your audience with an expert Church Stage Lighting Rental from the trusted and licensed technicians at Master Sound Productions. 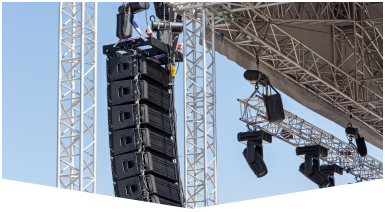 We can help you find the right equipment to help you audience stay focused on your message and resonate with music for your service, wedding, or event. As an award-winning event productions company, we will be able to recommend the most suitable gear for your needs, from up lighting and accent lighting to special effect lighting and more all expertly rigged to create a mood or draw attention. If you need a few extra chairs, tables, dance floors, custom staging, or sound equipment, we will be sure to offer competitive rates and accurate written estimates. Lighting should be tailored to create a perfect performance, presentation, and to capture the attention of your audience. We can offer creative solutions to create a memorable atmosphere with color filters and special effects, ensuring just the right amount of lighting, in the right places. 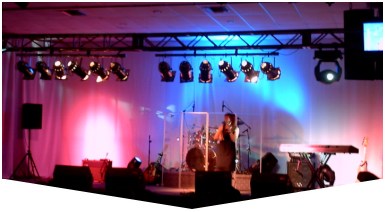 Since 1996, we've been proud to deliver many options for your church stage lighting rental needs, working hard to develop a plan for your event that sticks to a budget that we can both agree on. 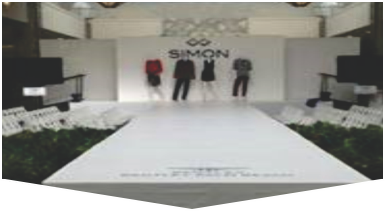 Our event staff can bench-test, deliver, set-up, and may even be able to stick around and monitor your rentals to ensure that all runs smoothly from start to finish. Call Master Sound Productions, today for your FREE estimate.